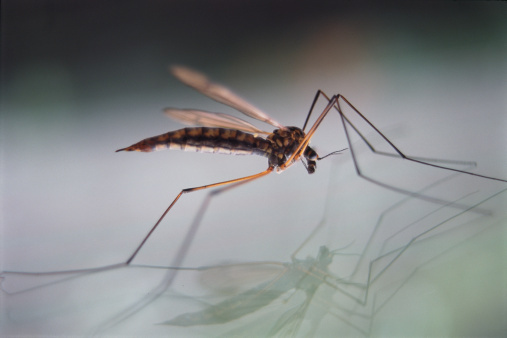 Keep Mosquitoes Out of Your Yard - Yes Pest Pros, Inc. Keep Mosquitoes Out of Your Yard - Yes Pest Pros, Inc.
Every spring we get ready for the barrage of insects that emerge from their winter slumber and hiding places. Some insects aren’t a big deal. Ladybugs trundle through gardens and eat aphids. Butterflies dot the sky in colorful tones. It’s no secret that mosquitoes aren’t exactly the world’s best-loved insect. It’s also no secret that nobody wants them around. Ever. The male mosquito isn’t anything to worry about; it’s the female mosquito that does all the biting. But how can you keep mosquitoes away besides with candles and sprays? Mosquitoes that need blood meals to help nourish their eggs will want to lay them in a moist area. They like standing water a great deal. It doesn’t matter if it’s a pond, a puddle, or a drainpipe, if it suits them, they’re going to stick around. What’s more, they’re going to feed off you, your family, and your pets. Nobody’s idea of a good time. Mosquitoes are also known to spread disease and parasites through their saliva, which makes them even more unwanted. Check your property and your home for things that might entire mosquitoes and then seek out ways that you can make any possible changes. While a food source may still remain, there won’t be any other reason for mosquitoes to come there. If you’ve done everything you can think of to deter mosquitoes and they’re still sticking around and bugging you and your family, contact professional exterminators. They can not only help get rid of the mosquitoes, but also help to identify what might be bringing them to your location in the first place. Perhaps you missed a puddle that is hidden by tall grass over by the garage. There are all sorts of possibilities, and having the experience of a professional at hand can really make all the difference. There’s no need to suffer through mosquito bites all through spring and summer. Pest services are waiting to help you right away. You can always get free evaluations where you can get an idea of what you might be dealing with currently and even what may happen in the future. Insight into any possible mosquito problems can help you make changes now while there is still plenty of time. Then you won’t have to worry about mosquitoes again all throughout the summer season.